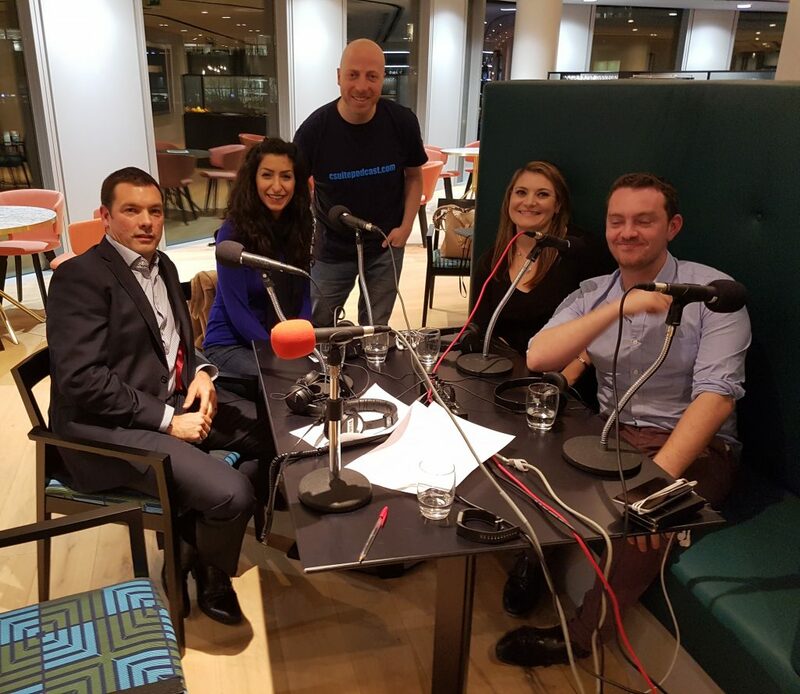 Recorded in partnership with Global Front Room, Show 60 discusses how to prepare for an investment pitch to successfully raise money in the UK. Ben Corrigan, Co-Founder and Marketing Director of Pouch, who have developed an extension for your browser to automatically source the best available voucher codes for you. Ben also took his business onto Dragons’ Den and was only the third person in 15 series of the show to attract investment offers from all five Dragons. Graham Booth, CEO & Co-founder of 2iC, whose technology business’ clients include the Ministry of Defence. Team of three co-Founders – Ben had experience in marketing and law, Johnny Plein was a Chartered Accountant and Vikram Simha, a CTO with 12 years’ experience of solutions architecture. Got onto Mass Challenge Accelerator Programme and obtained $100,000 of free credit from Amazon, who were partners of the Programme, providing software and server capacity. Accelerator programme gave access to high net worth individual through a German software company and so had raised just under £100,000 for around 22% of the business, before even releasing to market. Won Mass Challenge, out of 1,300 companies that had applied. Before show aired, they got a consortium of investors together, made estimations of how many people would download the product after seeing the show, and came up with a valuation of £3m pre-money. Raised £180,000 for just 5%. Ben believes that in the UK, investors want to take a huge amount of equity for a small amount of risk, but he thinks they are become less risk averse. He said there is no start up ecosystem in Europe like that of London, particularly with the Accelerator programmes and co-working spaces. Looking for Series A funding of around £2m-£5m (depending on how much equity they want to give away and how well they performed during Christmas 2017), aiming to go to market in Jan 2018 and close around June 2018. Early on they spent too much percentage of their initial seed money on things that didn’t work, rushing to get their product out in time for Christmas, including expensive social media agencies and on a partnership that didn’t come to fruition, all in the hope of gaining customers before Christmas when they spend lots online. Making those kinds of mistakes has made them very cautious about how they spend now. May’s background is in investment Banking. When the company she worked for was moving offices, everyone was asked to pick new desks, chairs, computers and carpet colour. When she questioned what was happening to the existing items she found that there were no plans to do anything with them, not even give them to charity. Set up a prototype of Globechain, testing it for a year for free. Tried Accelerator Programmes and, given the product is about sustainability and social impact, grant funding from Government, . Nobody would touch it, because she found UK investors are quite risk averse and as she was creating a new business, where there was no existing market capitalisation, it was difficult for investors to compare it to anything. One investor firm did ask her to come back with two paying clients at £40,000 each and they will give her £150,000, but she thought, “Why would I do that?”! Broke even in third year and now that they are making money in their fourth year, with 10,000 members and clients such as Nando’s, NHS and Radisson Hotels, they are going for their first fundraise. Narrow your search down and look for the right kind of investor – in May’s case, she wanted philanthropic, B2B and/or marketplace type or investor. Don’t rush! A business that is growing steady, where you can control it is going to last longer than those who go out seeking PR to generate demand before having the infrastructure to be able to deal with the volumes. Graham was running a New Zealand Software Company from the UK, which he built on behalf of someone else over a couple of years. One of his former IBM colleagues had been working in defence and convinced him to quit his job to start a new business, which they bootstrapped for a while, burning through their savings. Got a break when they won a small contract from the Ministry of Defence and at the same time gained an Innovate UK Grant. Both led to some investors putting in money into the business, meaning that they had a few hundred thousand pounds to increase the team and deliver the first phase of the product. have since had follow on funding from those same investors and some others have joined too. Now have contracts in Australia, New Zealand, US and UK. Sales cycles in UK are longer than New Zealand, for example. You might have to talk to a lot more people in a UK organisation before you find who the decision makers are – it’s rarely one person. More money in UK but route to it is longer, harder and more expensive. Spent too much money early on, trying to rush the MVP by underestimating what was required to get there. Also learned to always trust your gut feel – whenever he went against it, it was wrong! Surround yourself with as many people whose ideas you can piggy back off! Ask as many people for advice – you’ll get loads for free!